Like most people, I used to think I could call it a day when I reach my retirement with a target, say a million dollars. I was wrong. Today, retirement planning is no longer just about saving a retirement sum but to build retirement income. In Singapore, nobody can talk about retirement without mentioning CPF. Ironically, CPF retirement schemes are familiar yet confusing to many people. Are you struggling to understand how the recent CPF changes affect your own retirement plans? 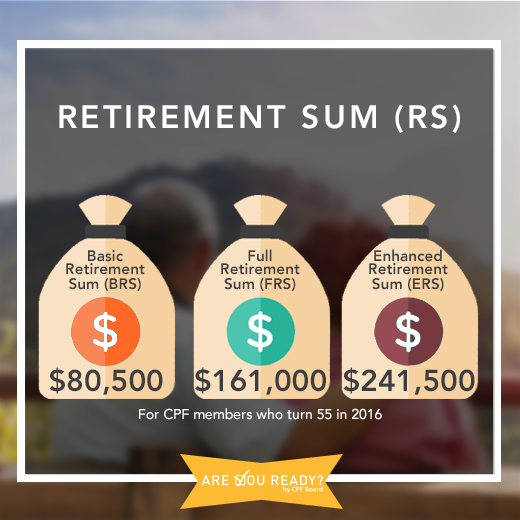 In this post, I will explain how the new CPF Retirement Sum Scheme impacts your retirement and the 3 options you have. 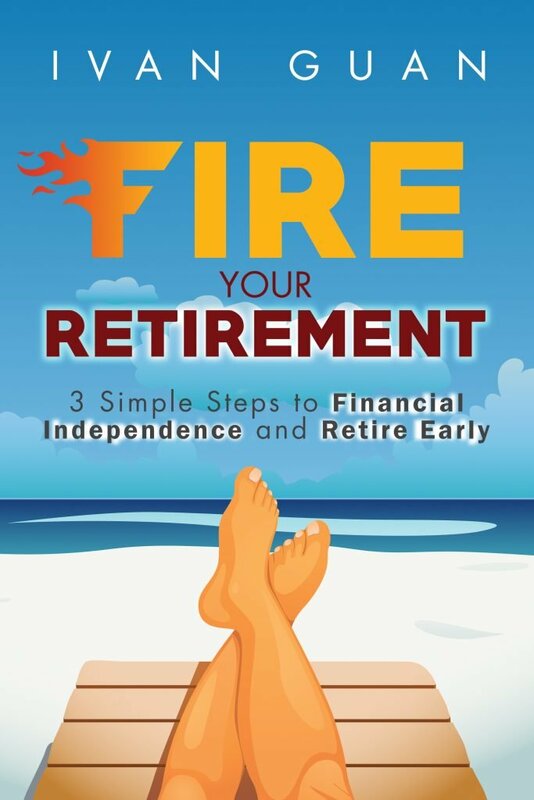 If you want to know how CPF fits your retirement portfolio, check out my latest book “F.I.R.E. 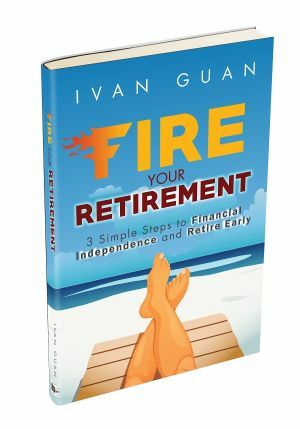 Your Retirement: 3 Simple Steps to Financial Independence and Retire Early“, where I give you a step-by-step guide to building an IGA portfolio for your own retirement. Do you know for Singaporeans who are 65 today, about half of them are expected to live another 20 years (that is, 85 and beyond), while a third will live beyond 90? Most of us may have overestimated how much our money, even one million dollars, can last. 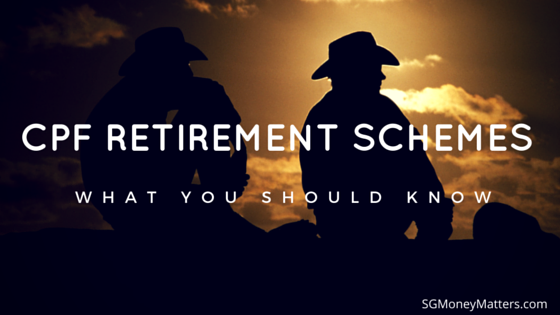 The hard truth is that most Singaporeans’ retirement savings can last only 13 years. Mountains of education bills from our kids in the coming years. That is why I repeatedly said on this blog that the only way to retire in Singapore is to build multiple streams of passive income. I bet the government has already realised this and CPF Retirement Sum scheme is their solution to provide at least one stream of income for Singaporeans. It used to be called CPF Minimum Sum Scheme, but now it is called CPF Retirement Sum Scheme. When you turn age 55, your ordinary account and the special account will be combined as a Retirement Account. This scheme aims to convert a lump sum of your CPF money to a monthly income to support a basic standard of living during retirement for about 20 years. It is called the basic standard of living for real. Because the income it can provide is estimated from $660 to $1,920 only. Given today’s living standard, this is obviously below many Singaporeans’ retirement needs. Currently, when you make a withdrawal from your CPF after 55, you have you set aside the CPF Minimum Sum of $155,000 and Medisave Minimum Sum (MMS) of $43,500 in your Medisave Account for your healthcare needs. As a result, most people can only withdraw pathetic $5,000 at age 55. From 1 January 2016, this minimum sum will be removed. In another word, you are given an option to withdraw more CPF at your retirement age. That being said, your Medisave savings will remain in your Medisave Account and can be used to pay for your or your dependants’ healthcare needs. However, now you have the option not to top up your Medisave Account when withdrawing your CPF monies. How much can you withdraw from CPF at 55 years old? Previously, you have to set aside CPF Minimum Sum. Now, you can choose one of these options, depending on your desired CPF LIFE monthly payout and your CPF balances. Setting aside less Retirement Sum means that you can withdraw more CPF when you turn age 55. But that does not mean you should just choose the Basic Retirement Sum plan. Full Retirement Sum (FRS) is essentially two times the BRS, and Enhanced Retirement Sum (ERS) is three times the BRS. Just like the previous CPF Minimum Sum, Retirement Sum is set to increase every year to reflect inflation. If you are turning 55 between 1 Jul 2015 and 31 Dec 2016, your BRS and FRS are $80,500 and $161,000 respectively. The BRS will be increased by 3% from the cohort in the previous year to cater for long term inflation and increase in standard of living. Correspondingly, the FRS and ERS will be set at two times and three times the BRS respectively. 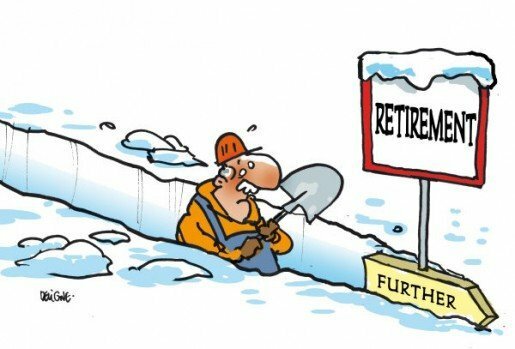 Can you be exempted from setting aside a retirement sum? You are a pensioner receiving a monthly pension equal to or above the full monthly payout. To apply for an exemption, you can submit a copy of the annuity policy or a recent letter issued by the Pension Office of the Accountant-General’s Department, certifying the monthly pension amount. Can you rely on CPF Retirement Sum scheme to retire? Unfortunately, CPF Life is likely the biggest retirement income source for many Singaporeans. HSBC’s survey shows that 41% of retirees regret that they did not start to save before age 30. The Basic Retirement Sum of $80,500 can only provide you with $660 to $720 retirement income, and many people may not even have this because they have fully utilised their CPF for their mortgage loans. Fortunately, there are other sources of retirement income which you can tap into. Halo! Happy New Year 2019! You can find out more information about retirement plans here. Is there any charges for financial consulting? Hi, I’m enjoy reading yr articles. I’m currently age 51, just to check if there will be next adjustment in 2021 ? and will the new payout at age 65 be the same amount with the current payout ? What do you mean by “next adjustment in 2021”? How does the CPF Life payout calculations come about? I have not been able to find any information on it. What I can see from the CPF site is that the payouts are not directly proportional. I.e. the higher plans pays out lesser. The basic plan seems to pay out the best. Can you advise why this is so? Also, if I compare against a 20 years draw down on the old scheme, the amount is $351 for a balance of $39500. (That is about as best as I can get from CPF’s site as they don’t seem to have any calculator for this purpose). If I just take multiples of this amount, say $240K at age 65, then the draw down payout is ~(350 x 6) which is about $2100/mth. Is this correct? If you compare standard and basic plans, standard plan will pay higher as it has less bequest. For draw down options, you can’t compare the return by just multiplying the payout. This is because there is an assumed investment return based on the principals left. If you can let me know more about your specific situation, I will be able to help you analyse your retirement needs. Minimum retirement sum is now $166,000 as of Jan17 . What will the amount be in 10-15 to 20 years time? CPF Minimum Sum is increasing at a rate about 3% per year. If this is consistent, the Retirement Sum will be $258,000 in 15 years time and $300,000 in 20 years time.